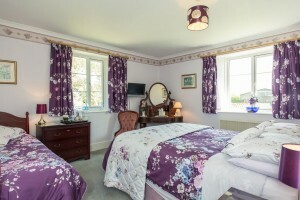 A large comfortable room comprising of a King Size double bed and a Single bed. This makes Bluebell ideal as a double, twin or triple bedroom. 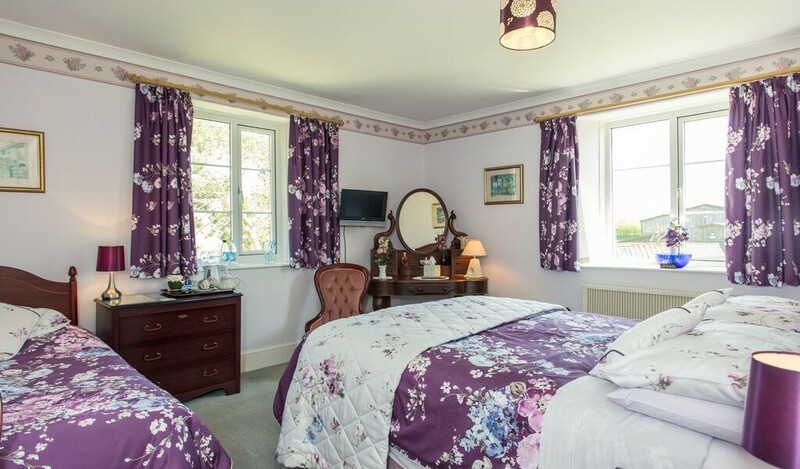 Other furnishings include a Victorian dressing table with padded stool, two styled bedroom chairs, bedside tables and table lamps. Other storage includes a walk-in wardrobe and chest of draws. 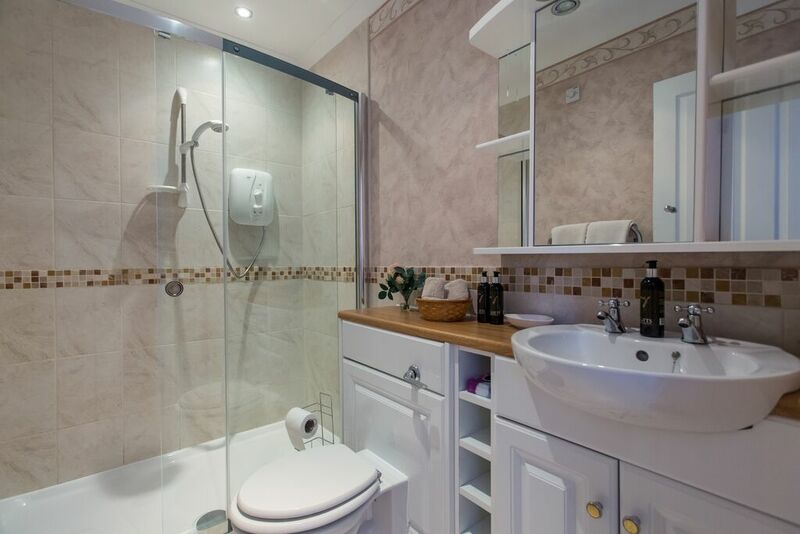 Bluebell benefits from an en-suite with large walk-in shower, tasteful fittings and an electric shaving point. This is a double aspect bedroom with superb views over the garden and the fields beyond.